There’s nothing more attractive than a set of french doors that open onto a beautiful vista, but are french doors right for you? Choosing to install french doors is one choice you shouldn’t rush into. You want to make sure that the type of door you choose is going to work best for your home and budget. The truth about french doors is that they’re not right for every home. They have a very distinct look, and there are often better choices when it comes to function. French doors are very beautiful though, and that may be reason enough to install them. Generally speaking, french doors do not slide. They swing in (or out) just like your front door would. 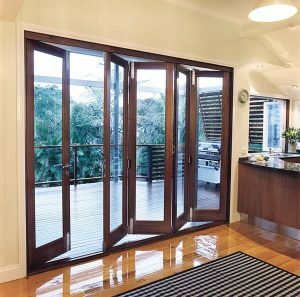 Usually the doors are installed in pairs that swing open the same way, and you can install several pairs of french doors beside each other to really open up a room to the outdoors. In a word: beauty. Nothing compares the imagery most people have of stepping out onto a patio via a set of french doors. The elegance and simplicity of these types of doors make them an easy choice for many homes. French doors will also open the doorway up completely, which allows for great views and ventilation. Sliding patio doors will only open so far, usually only half the doorway distance. There are exceptions to this, like our glass wall systems, that can be a little more flexible. Simplicity is also a great feature of french doors. Sliding doors, especially larger multi-panel ones may need special tracks, locking systems and maintenance. French doors operate just like regular doors and don’t usually need any complicated hardware. French doors do require more space to operate than sliding doors. Before you buy, you’ll want to consider the clearance you’ll need to open the doors, and whether you want them to open inward or outward. Energy efficiency can also be very different when it comes to the type of door you’re using. French doors have historically had lower energy ratings due to how they latch together. There’s been a lot of progress in this area, but it’s still something you should ask about when choosing your door. Installation is also a little more difficult when it comes to french doors. It’s nice that they create a large opening, but that opening still needs to support the weight of the house around it. French doors also won’t fit into every style home. The look of your home will really dictate how well these doors will fit into your current style. French doors are usually reserved for more of a classic look, but certain models will fit well in modern homes. Ultimately it comes down to style and function. Getting the right look that is functional for your home. 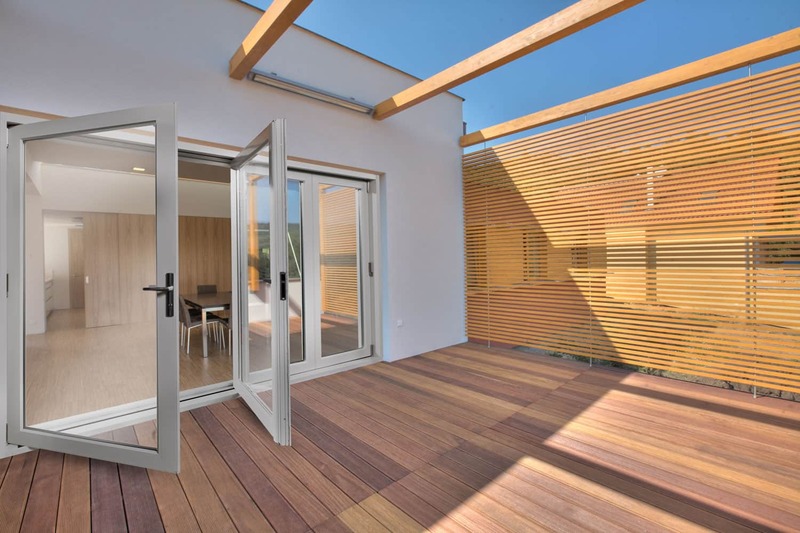 There are lots of patio door systems to choose from, you just need to find the right one for you! As always, swing by our showroom and we can show you the different choices that may work for you.